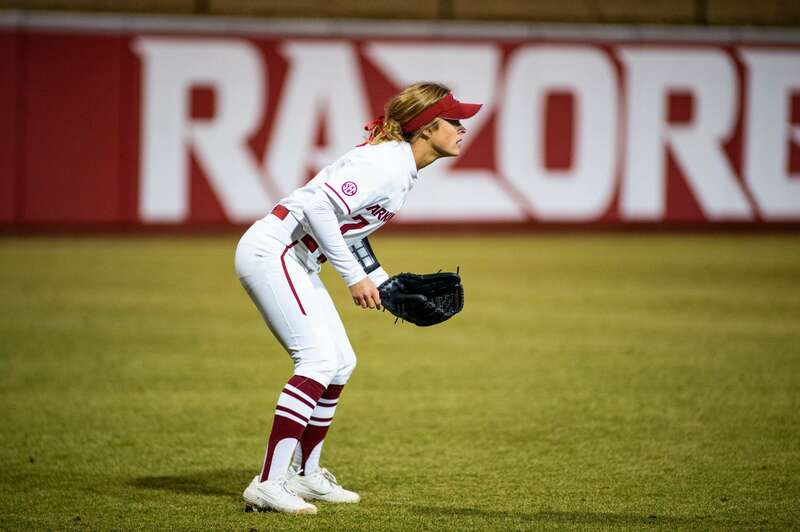 GAINESVILLE, Fla. – Arkansas dropped game one of the three-game series to No. 8 Florida on Friday night (April 5), as the Gators scored three runs on Razorback errors. Junior Autumn Storms held the Gator offense to only three hits and recorded four strikeouts in the loss. Three Razorbacks recorded hits against Florida’s Kelly Barnhill. Sophomore Kayla Green, junior Sydney Parr, and senior Haydi Bugarin. Green reached base multiple times during the contest, first with a single up the middle in the fifth and then when she was hit by a pitch in the seventh. Arkansas will return to Katie Seashole Pressly Stadium tomorrow (April 6) for game two of the series, first pitch is slated for 5:00 pm (CT). The Razorbacks and Gators will be live on the SEC Network.